Originally, this joke just included the sacrifice bit, then I came up with the service line. It's like two jokes in one. I know! It's awesome right? Outstanding comic and nice conservation of resources to squeeze two gags into one panel. Is this the first bald guy you've drawn? You can get them to go without for three hours? And how did you get Steve Covey to teach the class? Stephen Covey, hah. I was going for the cool, youngish guy who completely shaves his head at the first sign of receding hairline. Maybe I didn't succeed. Good one! 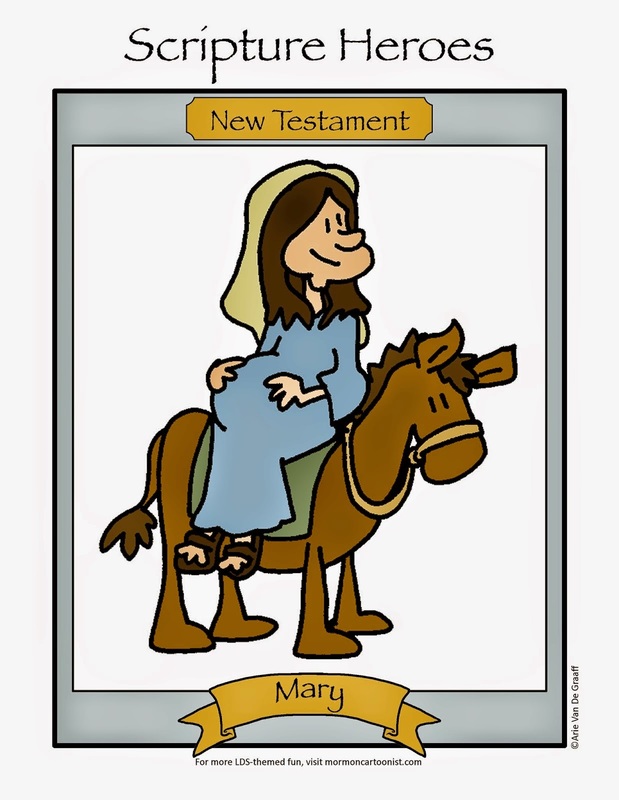 The title "Kids" must include the generation 25 and younger because majority in the singles ward brings their phone and hometeaching reminders are received by text. 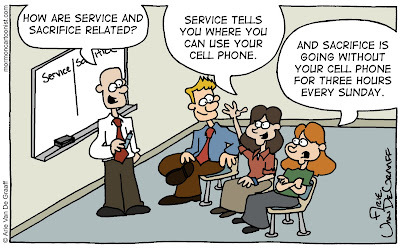 I think every young men and young women leader should show this comic to their kids because I don't think there are very many of them out there that go 3 hours in church without their cell phones. I was going to ask the same question as Eric, is this your first bald guy? To answer the question that appears to be on everyone's mind: Yes, this is my first completely bald guy. I've I ever knew the kind of response he'd get, I would have drawn one months ago. I was at Stake Conference on Sunday and the girl sitting in front of me was playing Tetris on her phone. It looked pretty fun. It was a much better use of time in comparison to the woman across the row knitting. Dave, I think we all agree that you can make allowances for phone use during Stake Conference.